UPDATE: The Flash Flood Watch has been extended until 6:00 PM, Tuesday evening. 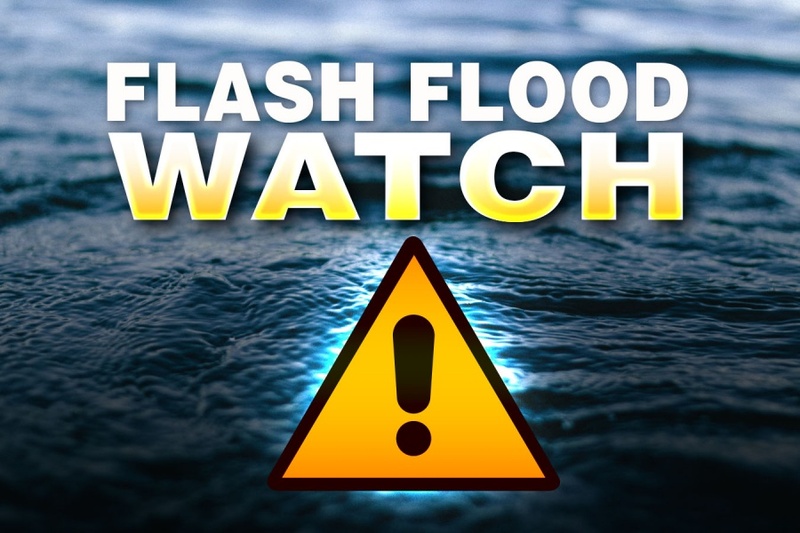 Harris County, Texas – September 10, 2018: The National Weather Service has issued a FLASH FLOOD WATCH for our area beginning at 1:00 PM through Tuesday Morning. The red highlighted area shows the flash flood watch that is currently in effect until Tuesday morning. Although the heaviest of rains are forecast to stay south of Interstate 10, isolated thunderstorms with brief periods of heavy rainfall can be expected here in our area. Forecasts show a second round of thunderstorm activity developing overnight into Tuesday morning. The main concern with these storms will be the rainfall amounts. Storms yesterday produced rainfall rates of 2 inches an hour. Atmospheric conditions are more favorable today into Tuesday to support these kinds of rainfall rates, if not more. This means that flash flooding could occur if these rainfall rates persist for more than 1 to 2 hours over the same area. The main impacts for these higher rainfall rates will be street flooding in low lying and poor drainage areas. Rapid rises in area creeks and bayous can be expected. Water levels should remain within the banks of our creeks and bayous expect if high rainfall rates persist for longer than 2 to 3 hours. WHAT DOES A FLASH FLOOD WATCH MEAN? | A Flash Flood Watch means that conditions may develop that lead to flash flooding. Flash flooding is a very dangerous situation. You should monitor weather forecasts and be prepared to take action should Flash Flood Warnings be issued.